My Osaka friend Masako Kurokawa, who will do the artwork for my Musical CD next year, is now in July participating in a Nihonga exhibition in The Museum of Kyoto (京都府京都文化博物館). Masako's work is on display only until the end of this month, and from next month, the work of other nihonga painters will be displayed. Because my Peacebird album has been so much delayed, it has also delayed the production and arrangement of the music for the musical. 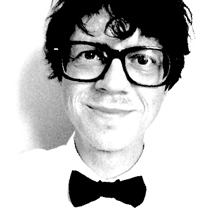 I will begin studio recordings later this year, in Tokyo with Japanese musicians, and in Sweden with Swedish musicians, and the release of a finished CD may be possible for the autumn of 2012. The musical project is very very big (almost 2 hours of music that need to be arranged for a small orchestra, solo musicians and singers, and we are looking for producers to help us finance the production. It's rare for me to Hate something, but i Hate spam robots. The people who create them need to find a job and get a haircut. I will have to post the setlist sooner next time, before I forget it! I will play the piano and sing in 1-2 songs! I have invited special guests Tetsuro Yafune (piano/vocals) and Chihiro (vocals, from Piece of Peace/NOANOA). We'll do some songs together all 3 of us, and I will play the guitar with Chihiro, and she will sing some backing vocals with me, so it will really be a special one-time-only performance. The ticket includes 2 special Peacebird novelties! 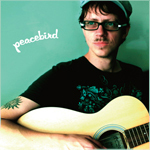 My PEACEBIRD album pre-release tour begins this weekend, with exclusive pre-sale of the album! Peacebird starts flying from Cafe TORi (Nakameguro) on Saturday, and lands in Otomeshi (Koenji) to sing on Sunday. CD for sale, 2,500 yen for 9 new groovy songs! The CD also includes download code to an unreleased bonus track. Peacebird Japan Debut @ TORi! Make your ticket reservation early, limited seats. I've updated my website design with the cover photo from the coming Peacebird album and some new information. I've scored 900 tweets on twitter. From now on I will write upside down. Last night at Erichan's Totosk Cafe was really wonderful, as always. Great people, great location, lovely food and some unplugged live music. It's as life should be more often! I think everyone was surprised by my version of YESTERDAY! It was the first time I played it live. Thank you everyone for a wonderful night! It was the first time for me to perform both Over The Rainbow and You Can Discover. The songs without a composer's name are my own songs. Really looking forward to the gig tonight at Tsuki Miru Kimi Omou. It will be very special, because I will bring my laptop on stage, and use loops and some programmed backgrounds I've created for the songs. For my audience it will be a new experience, as I usually perform solo with the guitar only. Some songs more jazzy, some more funky and groovy, I think the backgrounds and loops will help create a very nice mood, together with my guitar. You will hear Passion, Balans, So Happy and more songs, in versions you have never heard before, created especially for tonight, and 2 cover songs in new arrangements. The moon will rise behind me on stage at 19:00. The Peacebird badges have arrived from the factory! 3 different designs, the size is 31 mm. I'm really pleased with them! To start with, we'll sell them at my live gigs in Japan and the upcoming Peacebird pre-release tour. After that, it will be available also from my website. We have still not decided on the Peacebird t-shirt design. I'll keep you informed about it! You can also be a Peacebird! Spread Peace! Wear a badge! The CD-R of my charity song HOLD ON NOW is available in Japan only, and I've just prepared a bunch of copies to bring to my live performance tonight in Tamachi at Mitsubishi. All proceedings are donated to Japanese Red Cross, so buy one for yourself and one for your best friend or uncle or niece. On friday I perform at the Mitsubishi Motors Show Room in Tamachi, Tokyo. It's free entry, so be sure to be in time. You will be able to buy my three CDs, PLUS the special charity CD "Hold On Now". I will sing songs from my three previous CDs, and a couple of covers including Carole King's YOU'VE GOT A FRIEND and Charlie Chaplin's SMILE, and some new songs. Total performance time is 45 minutes.